The Table Farmhouse Bakery. 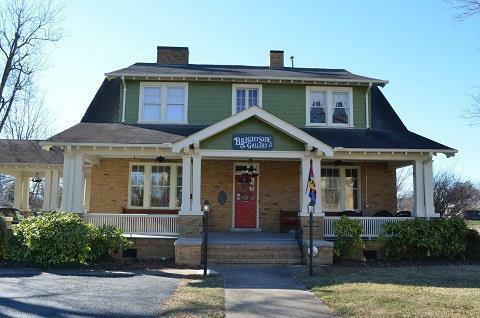 Located in historic, downtown Asheboro, The Table is a farmhouse bakery, eatery, coffee shop and gift market. The menu at Something Different Steaks & Kabobs features the title fare, plus Italian, Mexican, Middle Eastern, and seafood cuisine. Sagebrush Steakhouse & Saloon- The Sagebrush menu has something for everyone and is great at delivering high quality food at reasonable prices for the entire family. A local favorite, Bamboo Garden features a wonderful dinner menu with lots of variety and a full food bar for those who want to sample a little of everything! The Coffee XChange is a hometown coffee house offering a wide selection of fresh-brewed, whole bean coffees, along with espresso beverages, smoothies and a variety of sandwiches and pastries. Free hi-speed internet access available! Located in the heart of Downtown Asheboro, Lumina Wine & Beer features a selection of craft beers, specialty wines, and is the perfect place to unwind and enjoy special events with music, art, and food. Filled with character, the Flying Pig in downtown Asheboro offers a variety of delicious food to choose from. There's something for everyone in the family here, but the Pig is best known for it's stone cooked pizzas, pig winks, angry okra, and fried pickles. RANDOLPH MALL - Randolph Mall is home to all your favorite stores such as Belk, Sears Ulta Beauty, Dunhams Sports, Ross Dress for Less, and other great shops including Bath & Body Works, Books-A-Million and American Eagle. 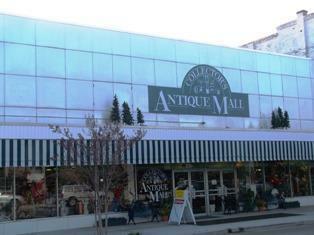 COLLECTOR'S ANTIQUE MALL- is a mutli-dealer antique mall located in downtown Asheboro, NC. 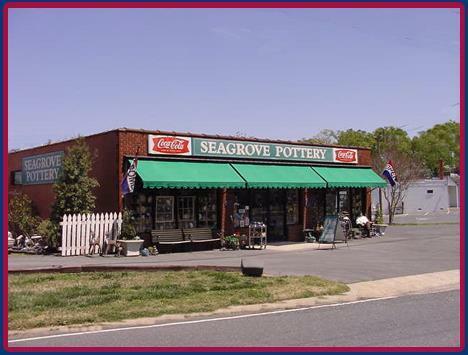 Over 125 dealers offer a wide variety of antiques and collectibles. Open since 1992, the mall features 35,000 square feet of space. The red-front of the "Big Bear Super Market" building is a favorite landmark for locals and for visitors too. The buyer at MORINGS FINE CRAFTS has chosen arts and crafts created by local and regional artisans some examples of the many great things you will find are glass jewelry, pottery, music, garden art and much more! BRIGHTSIDE GALLERY - Brightside Gallery is the premier location for your varied tastes in shopping experiences. They offer a well-edited mix of artwork, specialty high-end home décor, and pay homage to the past with unique vintage finds and recycled goods. Featuring local, national and emerging designers, artists and craftsmen.